Home » Articles » How Important Is Palatability to Your Cat? Nutritious and healthy food is something that every cat can enjoy with every meal, but this doesn’t mean they have to sacrifice palatability – a cat can enjoy their food whilst sticking to their nutritious diet. But just how important is palatability to your cat’s ability to enjoy a meal and sustain the diet that’s right for them? Let’s take a look at what palatability means and why it’s so important when it comes to your cat’s eating habits and meal enjoyment. Palatability is the term used to describe how well an animal perceives the aroma, texture and taste of a food (in order of importance). Whilst smell is very important to a cat, the shape and texture are also equally as important. When approaching food, the first thing a cat does is smell it. If it passes the scent test, they will try a small bit of food. Then, texture (and shape, in some cases) will determine whether or not the cat will continue eating the food. Defining factors as to whether the cat enjoys the texture or not includes the way it breaks apart in the mouth, the size, and the moisture content. So, as we’ve established, taste is just one factor that affects how palatable a food is for cats. Let’s take a deeper look at the three main components of palatability: aroma, texture and taste. Cats have a far more sensitive olfactory apparatus (sense of smell) than we do, because they have twice as many olfactory receptors. This means their sense of smell is approximately fourteen times stronger than humans’. The aroma from food is especially necessary for your pet to start eating. If the odour is notably strong, that alone is enough to influence them, at least initially, to start eating a new food. The texture or ‘mouth-feel’ of a food is an important factor in its selection. Located in the mouth of a cat are pressure receptors and movement detectors which allow animals to judge a food’s hardness, cohesiveness, viscosity, elasticity and adhesiveness. With dry foods, cats prefer the ingredients to be finely ground (coarse ingredients give a gritty texture), for the pieces of food to have smooth rather than irregular surfaces – without sharp edges or projections. Additionally, cats also prefer their dry food not to be a challenge to break when crunching – which is why a softer, crisper texture is more preferable. Cats prefer food that is non-sticky and easy to crunch. Interestingly, cats also eat moist food at a quicker rate, whereas dry calorie-dense food is usually consumed at a slower rate. Cats are renowned for being picky or fussy, and some cats will even refuse to eat and will consume below their recommended daily intake if the only food available is something they do not enjoy. This is why providing food with great taste is integral to getting your cat to eat the right diet. Some things that can sway a cat’s perception of taste include aroma, flavour, consistency and temperature. Cats possess taste buds on their tongues that react favourably to substances classified as salty, tart or acidic. Cats do not appear to be attracted to sweet tasting substances. Are there particular food properties that can increase the palatability of your cat’s diet? Let’s explore this further. Adding water to dry food can increase palatability (and water consumption) for cats, but there are some that will refuse to eat it this way. Ingredients that are specifically designed to increase the palatability of dry food are called ‘digests’ or ‘palatants’. The dry kibble is coated with the palatant (and sometimes oil or fat), which can be vegetable, yeast or meat based. The quality of the palatant varies greatly, with premium variations costing more to produce. 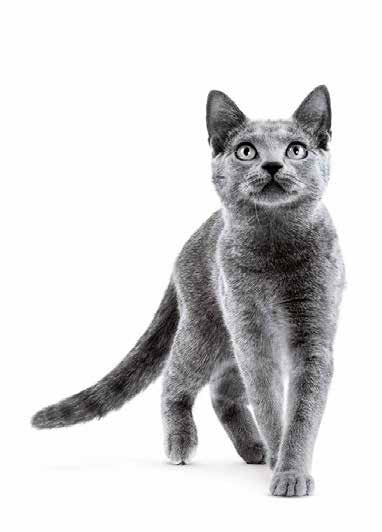 View our range of ROYAL CANIN® wet and dry cat food here. Also, take a look at our Feline Health Nutrition range for extra palatable cat food such as Aroma Exigent and Savour Exigent. Do cats respond to food the same way that humans do? Ultimately, they do not – they’re an entirely different species. Therefore, it’s important to be aware that cats do not have the same eating preferences and dietary requirements as we do, just as they have different nutritional requirements to us. This is why we should not try to feed them food that is not specifically designed for cats. However, there are many human foods that are unsuitable for cats to eat, yet they will often still try to anyway. This should not happen because human food is not nutritionally sustainable for cats and health concerns can arise as a result. This is why cats should be fed food that fulfils their nutritional requirements, otherwise they will develop preferences for unhealthy human food, and become wary of eating cat food that is nutritious for them – making it more difficult than it would usually be to start them on a new diet. 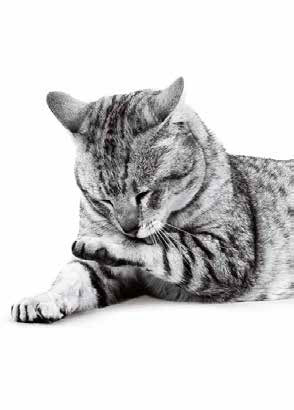 If your cat is particularly fussy, be sure to read our tips on how to What Do If Your Cat Is A Fussy Eater. Essentially, meeting all the criteria of your cat’s palatability is extremely important when it comes to feeding them an enjoyable, nutritious diet. We hope this article helped you understand how important palatability is to your cat. If you have another question about medicine for cat, your cat’s health, or other facts about your feline friend then we’d like to help – sign up to our newsletter below.